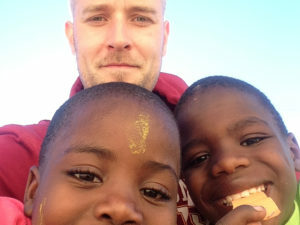 Are you looking to make a change in our world through overseas volunteering ? Would you like to be an agent of change in the world? Our Volunteer Programme could be perfect for you. Have you ever felt like taking time out from college or work, and trying something completely different? Would you like to step out of your comfort zone, and be an agent of change in the world through overseas volunteering? Do you want to make a difference in the lives of struggling communities across the globe? 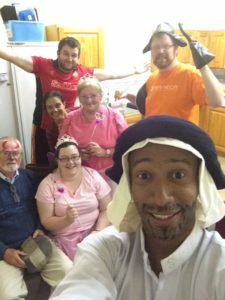 The Missionaries of the Sacred Heart Volunteer Programme (MSCVP) could be just the thing you’ve been looking for. The Missionaries of the Sacred Heart minister in over 50 countries all over the world, with bases in a wide variety of different areas including schools, parishes, hospitals, and prisons. Our volunteer programme gives people between the ages of 23 and 40 the opportunity to spend some time living and working in some of these locations, contributing to our missionary projects and making positive changes in the lives of people who live in conditions of extreme poverty. Through our volunteer programme, you will have the chance to work with a like-minded group in a community that needs your skills, your talents, and your enthusiasm. This is an experience that focuses on working in partnership with others, teaching and learning as you go, and sharing your skills in a way that makes a real difference in the world. Volunteering on a missionary project is not a one-way street, but promotes a sense of appreciation, fulfilment, and satisfaction on a number of different levels for both the volunteers and the communities they visit. Help is given to those who need it, but the volunteering experience is so much more than that as volunteers encounter new challenges and triumphs, build new friendships, and make memories that will last a lifetime. To provide enriching, challenging, and meaningful short-term voluntary experiences. To share the valuable skills and talents of our volunteers with our partner projects. 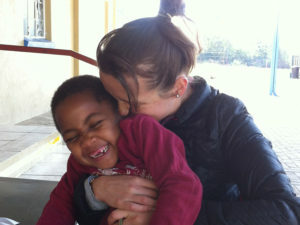 To work towards promoting responsible volunteering in our partner projects in South Africa. To allow enthusiastic, talented individuals to use their abilities in a positive and productive way, in a mutually beneficial experience. We would be delighted to hear from men and women between the ages of 23 and 40, who are interested in undertaking overseas volunteering work during the summer months. Specialised skill sets, such as teaching, mechanics, carpentry, nursing, electrics, or medicine are extremely welcome, and each applicant will be assessed on their own individual merits. Please note that all necessary preparatory training will be provided. This eight-week trip usually costs approximately €3,000 in total, with volunteers asked to contribute €1,500, and the balance covered by the MSC. This covers flights, food, accommodation, insurance, transfers, and training. One of the main locations for our volunteer programme is the Holy Family Care Centre, situated at the foot of the Drakensberg Mountains in Ofcolaco, in the Limpopo Province of South Africa. This centre cares for the sick and the vulnerable, especially orphaned children with HIV/AIDS and TB. The Holy Family Care Centre has the capacity to accommodate 70 children, ranging in age from infants to teenagers, and they are usually stretched to their limits in terms of resources. The centre, however, is about far more than just basic food, accommodation, and healthcare – it doesn’t just provide a house for these children, it provides a home filled with life and joy, and volunteer workers are an integral part of this. The centre is run by our sister congregation, the Daughters of Our Lady of the Sacred Heart. The sisters work with a dedicated team made up of staff and volunteers who work tirelessly to provide a welcoming, loving environment for the children in their care. The Holy Family Care Centre is just one example of the projects on which we work, where we would welcome the additional help of enthusiastic volunteers. We aim to provide a wide range of volunteering experiences, involving everything from education to medical care, while also working with partners who follow the highest standards of care. The nature of the volunteer work you undertake will endeavour to engage your particular skill set, while also incorporating the day-to-day duties and tasks involved in life on a missionary project. Most importantly, the time you spend with the Missionaries of the Sacred Heart Volunteer Programme will provide you with an experience that is rewarding and unforgettable in equal parts, benefitting you and the people whose lives are touched by your support. So, what’s it really like to work with the MSCVP? “When I look back at my time at Holy Family, most of our visit was simply spent just spending time with these young South Africans. The real volunteering was sitting about in the spring sunshine, talking or watching videos on my iPhone. The real volunteering was being the big brother or sister that was never there. The real volunteering was being the role model absent from their lives as they grew and continue to grow. …And that’s just the tip of the iceberg. You’ll find more stories and reflections from MSCs and past volunteers at our MSC Vocations blog. If you’d like to find out more about the Missionaries of the Sacred Heart Volunteer Programme, please feel free to get in touch. You can contact Fr Alan Neville MSC by phone on +353 (0) 86 785 7955 (Ireland) or +44 (0) 75 2676 4236 (UK), or by email at vocations@mscmissions.ie. 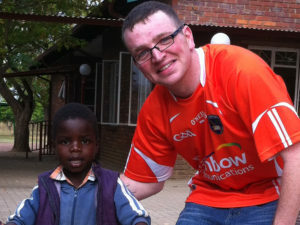 The MSC Volunteer Programme supports best practice in volunteering, and upholds the Comhlamh’s Volunteer Charter. We are also signatories of the Dóchas Code of Best Practice. If you have any queries or issues about our application of either the Comhlamh or Dóchas Code of Best Practice, please do not hesitate to contact us and we will be happy to address this. As part of our commitment to best practice in child safeguarding, all successful applicants to the MSCVP must complete a Garda vetting check (in Ireland) or a Disclosure and Barring Service check (in the UK).